Gris [Devolver Digital] – Ouch That Hertz! Gris has a fairly simple and straightforward concept. You move through a world facing various obstacles that unlock new abilities to be used in each of the next sections. The game is focused on persistence and perseverance. 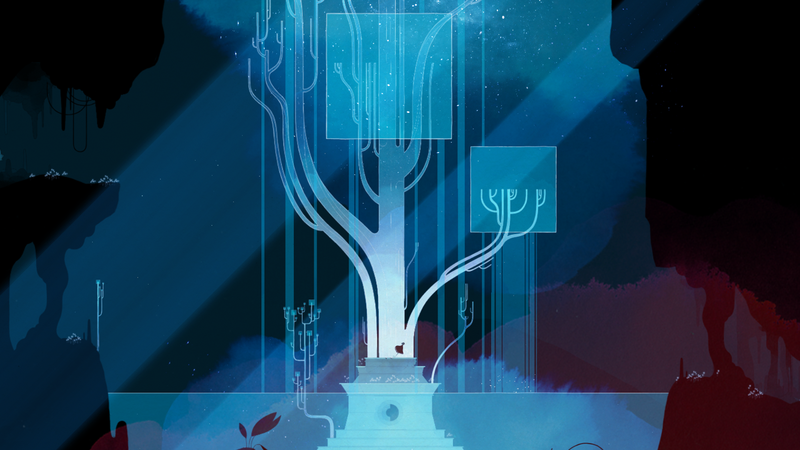 Just before each new skill is unlocked a somewhat dramatic and emotional cut scene takes place to symbolize the leading character’s (Gris) inner demons and trauma. Gameplay relies solely on problem solving and using unlocked abilities to reach otherwise out of reach areas without introducing any form of combat. In an era where massive multiplayer battle arena type survival games are dominating the market, Gris is a breath of fresh air as it takes a different direction than what has become the popular norm. Laid out in a two-dimensional landscape with no possibility of death or damage, game play is not limited by any form of failure. The sandbox feeling provides a sense of freedom that is missing in today’s society. Admittedly, while the concept is fun and different, the lack of any dialogue or defined storyline can affect the player’s overall interest in the game. Starting off, the player can easily be intrigued by the watercolor palette and anime style graphics. With no defined storyline, the longevity of the game comes from the player’s drive of needing to see what the next unlocked ability will be and to complete the game. Unfortunately, the limited landscape made gameplay a bit stagnant often times while also being very linear. There is no explanation of what to do or why you are doing it; the player is simply to figure it out and at times hope for the best as you try various things until something new happens. See Gris follows a similar format of games like Limbo or, in a way, Little Nightmares. It is a puzzle based escape game that relies on common sense more than puzzle solving skills, with only a few challenging mindbenders. 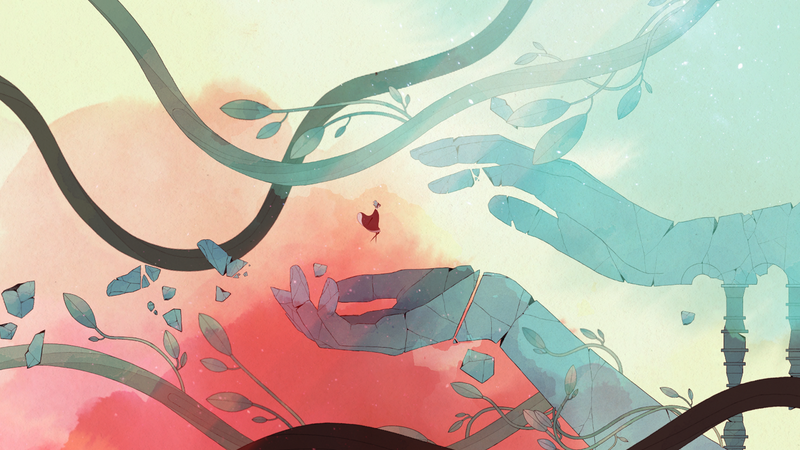 Unlike Limbo, Gris does not provide a compelling story or “think outside the box” mentality. Almost all of the puzzles are easily overcome with the exception of a few early on, which could be accounted for as due to the initial learning curve. For a silent puzzle-like based game I expected more menacing challenges. The main character is a female that fits very well against the background imagery. Starting with nothing more than running, jumping, and attempting to make vocal sounds; Gris has a very cute element providing a slight touch of personality to the game. It is always an added plus when games diversify the main character as the gaming community is not solely male dominated as once was believed. Then there is the soundtrack for the game that may just be the most exciting aspect in my opinion. The subtle use of orchestral overlays and piano based scores really set the mood well. Review code provided by Devolver Digital.